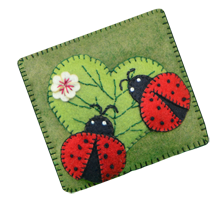 Ladybugs patrol this pillow-style pincushion. We like to use the straight pins with the white bead ends as they look like food for the ladybugs. 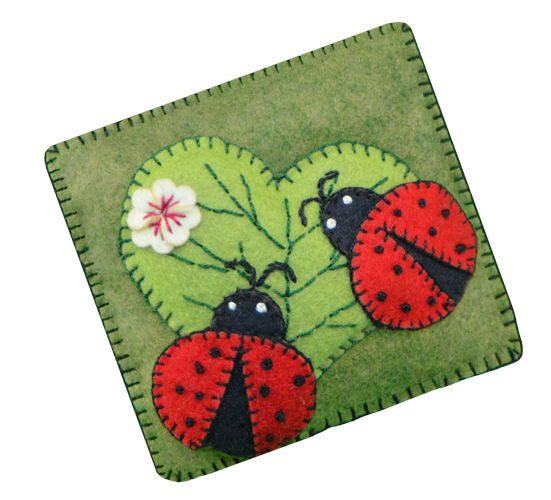 The pincushion is approximately 5″×5″ and can be as poofy as you like as we include extra stuffing.